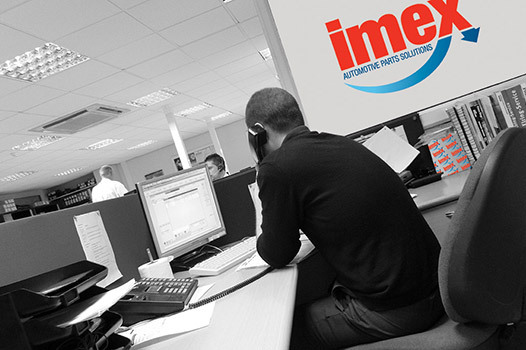 When you need quality replacement parts with genuine savings, IMEX truly is the alternative to franchised networks. IMEX stocks over 20,000 product lines, our parts interpreters identify the correct parts you need and tell you exactly when you’ll get them, saving you time and money and leaving you safe in the knowledge that your order has been dealt with by experts and specialists. Phone IMEX and you’ll speak to a real person, a person who understands what you need and has the information at their fingertips to ensure you get exactly what you want – first time, every time! Not sure exactly what you need? Our friendly team of parts interpreters are unrivalled throughout the industry and come with an abundance of trade experience and expertise, to ensure you get the right replacement parts for your vehicles. They can help you identify the problem, and usually all you have to provide is the vehicle registration number. The IMEX parts interpreters know how these parts work and what they do; they don’t just reel off part numbers, so their product knowledge and interpretation skills are second to none. All parts come with a 12-month unlimited mileage guarantee and the vast majority are to Original Equipment (OE) standard, so you can be confident of the quality of the parts we supply. When you need expert product knowledge, genuine low prices and quality parts, then call our parts interpreters on +44 (0) 1977 553936. Or use the Enquiry Form. When you need a dependable, reliable supplier, with the stock and the know-how, you need IMEX. There are already 15,000 customers benefitting from IMEX’s customer service; why not be one of them, and make huge savings into the bargain? Call now!